Personality radio and food: two of my favorite things! I’m often asked the secret of creating winning personalities. How do we do it? What makes some shows winners and others…not winners? Is it art? Is it science? What is the secret to winning personality radio? Is there formula? Why are some air talent just announcers, while others create a large following and fan base? Well, it’s not purely science. If it were, every station could do the research, apply a formula and produce a winner. But we know that’s not how it works. Many thousands of dollars are invested in research followed by a detailed execution plan filled with rules and guidelines. And yet, many shows fail. Neither is it purely art. Personalities turned loose without structure, guidelines and focus is nothing but chaos. Listeners can’t understand it, and the show is a hot mess. The answer: process of developing on-air superstars is like both personality radio food. Food? Really? Yes. Let me explain. To understand what it takes, let’s get outside the radio world and think outside-in. Our goal is to develop a restaurant (radio station) that attracts regular customers (P1 listeners) and builds an enduring franchise. The program director is the master chef, in charge of everything served to the public. The restaurant will take on the personality of the chef, and a radio station will ultimately take on the personality of the PD. Do you have an interesting chef, always experimenting and searching for the next great dish? Or do they turn out the same menu day after day week after week? There’s nothing wrong with a fast-food restaurant with a manager that makes sure the fries are cooked and the burgers are cranked out. And there’s nothing wrong with a PD that executes the format handed down from corporate…if that’s what you want. The programming, features and specific elements on the air are the recipes used by the chef to create a dining experience. These items are carefully selected for quality to work well together, and to complement the restaurant’s overall cuisine. Using these recipes (science), the chef honors the structure and principles that form the basis for his or her masterpiece. That structure is critical, but the chef usually adds a personal touch to create something unique. The air talent is the serving staff. The customer experience is at the mercy of how well the hostess and servers create the dining experience. It doesn’t matter how great the food is if the hostess is rude, the waitress serves cold food and the busboy spills coffee in your lap. These important people are the personality of the restaurant. One client has designated their receptionist the “Director of First Impressions”. Appropriate. And true. How the station captures the moment every single day are the special menu items that provide a unique, interesting and surprising offer. Restaurants may be famous for one or two signature dishes, but they still have a fresh catch or daily special. This keeps a short menu fresh, unique and different each time you visit. What is your station or show doing today that is special? What’s out of the ordinary, yet consistent with your brand? How are you surprising and delighting your customer? The review sites and word of mouth are radio’s ratings. Yelp is a highly influential report card for restaurants, and ratings are the ultimate report card for radio. Restaurants must do everything possible to influence those few customers that take the time to fill out an online review because it impacts hundreds or thousands of potential customers. 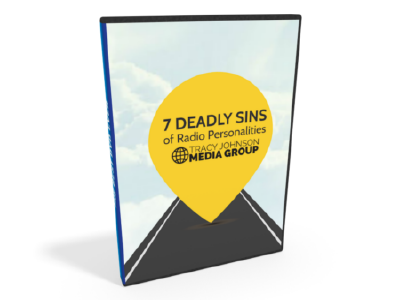 Radio stations must learn to influence ratings respondents because it impacts millions of dollars in advertising. Great restaurants usually have small menus. Master chefs typically reduce menu items to a dozen or so great dishes. Are you doing too much on your radio station? Should you simplify it to make it easier to “get”? Radio Talent: You're Killlng Your Show When You Credit Your Source! Some menu items are replaced by new items from time to time. Keeping the station fresh, contemporary and always offering a new “special” keeps it interesting. Creating a signature dish is a process of combining ingredients properly, in the right amounts, at the right time. What does your station brand stand for? What is the one thing that you’d go to war to protect? Great chefs don’t copy recipes. They find new solutions through trial and error. Many try new things. And they test. Some make it on the menu. Some don’t. This is art. Do you sound just like another station in the market? How will you separate your offering? Spices are critical. It affects the flavor. The right spices in the right amounts can make or break a recipe. Little things mean a lot. Details are important. Managers monitor behavior. They observe and measure customer reaction and track purchase history. This is the science. Radio needs research. Protect that budget, if it’s not too late. 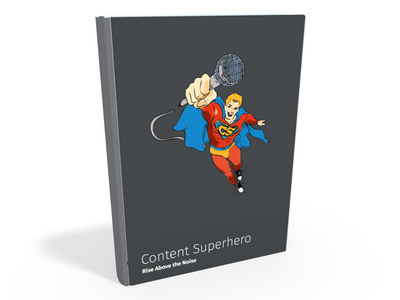 If it’s already gone, fight for a few dollars to get a snapshot of your images and brand values. For around $1,000, you can get a great project from WP Hatch. Reviews are critical. It’s a popularity contest. Get it right, and restaurants are rewarded on review sites. Get it wrong, and be punished. Are listeners talking about you? How can you make your station more talk-able? Personality radio and food. Now that’s a great combination. At the end of the meal, what will they say about you on Yelp?